Public support for Prime Minister Shinzo Abe’s Cabinet has risen to 45.6 percent from mid-January’s 43.4 percent, a Kyodo News survey showed Sunday, despite growing criticism of the government’s response to a labor data scandal. The weekend telephone poll also showed that less than 10 percent of respondents expected a decades-old territorial dispute with Russia, over islands off Hokkaido, to be resolved while Abe is in office, with nearly 90 percent believing otherwise. The disapproval rate for Abe’s Cabinet stood at 41.1 percent, down from 42.3 percent in the previous survey. 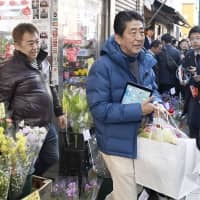 The latest poll was conducted following the start of a regular Diet session in late January, with the revelation that faulty labor data had been released for more than a decade provoking heated discussions and calling into question what the government has touted as the benefits of Abenomics, Abe’s economic policy mix. Respondents, however, were divided over whether labor minister Takumi Nemoto should resign over the faulty data, which led to work-related benefits being underpaid to more than 20 million people. Around 46 percent said he should step down, while 42.2 percent said he should remain in the post. Following a probe involving outside experts, the Ministry of Health, Labor and Welfare has admitted officials were aware that the survey was being compiled improperly but has denied a systematic cover-up. The ministry has faced fresh criticism because some parts of the probe were conducted by ministry officials. On the dispute over the Russian-controlled territory off Hokkaido, which has prevented the two countries from signing a peace treaty since World War II, 88.2 percent said they do not think the issue will be resolved by the end of Abe’s term of office in September 2021. The three islands and group of islets, known as the Northern Territories in Japan and Southern Kurils in Russia, were seized by the Soviet Union following Japan’s surrender at the end of the war in 1945. In the poll, 54.5 percent said they support a plan to prioritize the return of Shikotan, the smaller of the three islands, and the Habomai group, and continue discussions on the fate of Kunashiri and Etorofu, the remaining two. However, 21.5 percent said they want all four islands returned together and 8.4 percent said they do not believe any of the islands need to be handed over. Around 7 percent said they would be satisfied with the return of Shikotan and the Habomai group. With Abe apparently keen to reach a broad agreement with Russia on the issue prior to the House of Councilors election in July, the focus is shifting to whether Tokyo can secure a deal on the handover of Shikotan and the Habomai group. 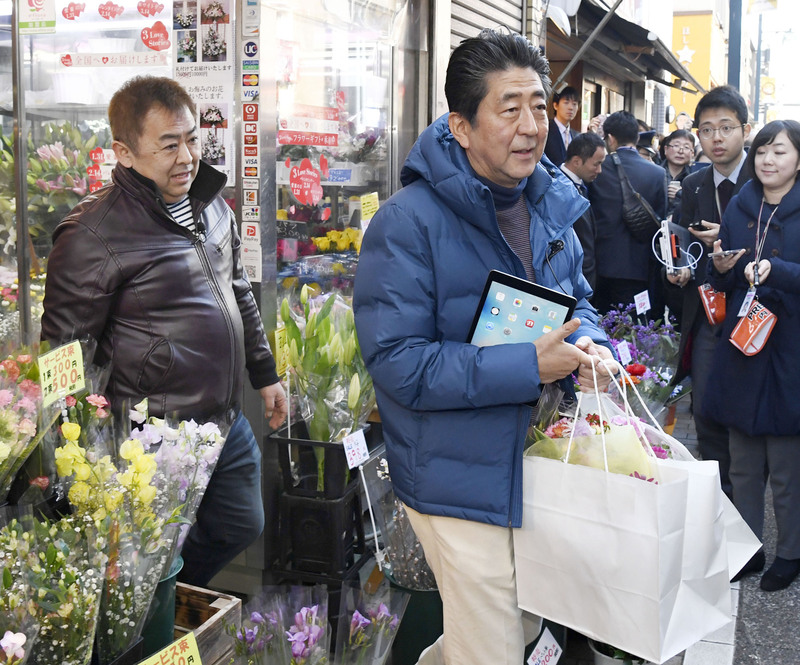 Of the respondents, 51 percent opposed Abe’s decision to raise the consumption tax rate from the current 8 percent to 10 percent in October, while 45 percent backed the plan. As for the controversial transfer of U.S. Marine Corps Air Station Futenma within Okinawa Prefecture, 51.6 percent opposed the government’s push to realize the relocation despite local protests, while 39.4 percent were supportive. Abe’s long-standing ambition to amend the postwar Constitution for the first time was opposed by 56.7 percent, while 32.9 percent were in favor. By party, the ruling Liberal Democratic Party remained the most popular with 40.6 percent support, followed by the main opposition Constitutional Democratic Party of Japan at 8.6 percent. Regarding the Upper House election, 36.1 percent said they would vote for the LDP in the proportional representation section, up 4.2 percentage points from the previous survey, and 10.3 percent said they would vote for the Constitutional Democratic Party of Japan, up 0.9 percentage point. The survey covered 737 randomly selected households with eligible voters as well as 1,212 mobile phone numbers, obtaining responses from 514 and 513 people, respectively.